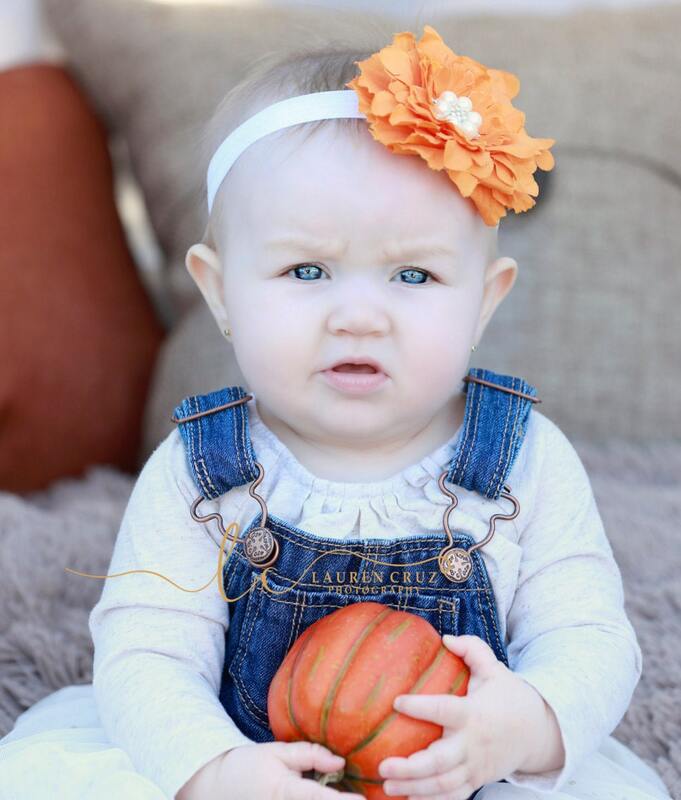 Orange Peony and Pearls Headband for all ages, four inch flower, adorable for newborn photo shoots, by Lil Miss Sweet Pea Boutique. 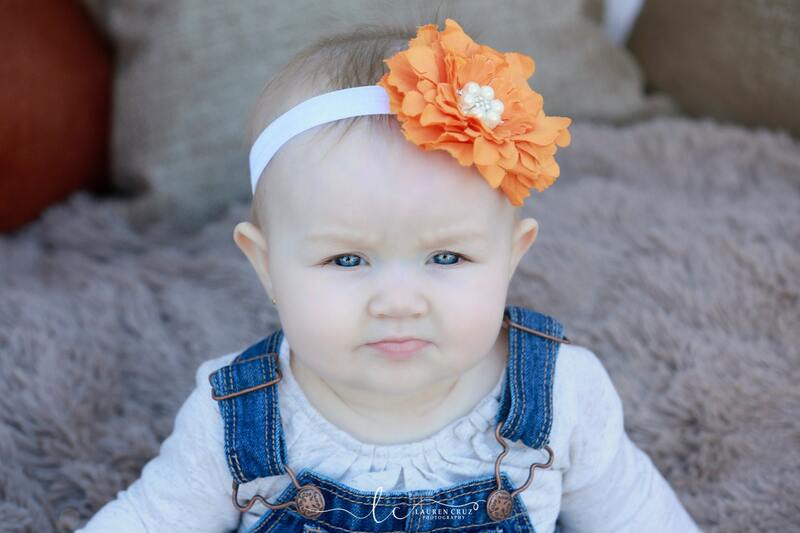 Headband is on white soft stretch elastic, perfect for all ages. Please choose your size in the drop down menu.